Austrian-born actor Maximilian Schell, a fugitive from the Nazis, who became a Hollywood fav and won an Oscar for his role as a defense attorney in Judgment at Nuremberg, has died. He was also a writer, director, and producer of motion pictures. His sister was the celebrated actress Maria Schell. After his family fled to Zurich, Maximilian grew up hating Adolf Hitler, and entered the film industry in Europe as a way to show his contempt for Nazi Germany. He made his Hollywood debut in the World War II film, The Young Lions, which starred Marlon Brando, Dean Martin, Montgomery Clift, Hope Lange, and Barbara Rush. During his career, as one of the few German-language stars working in English-language films, he was top billed in a number of Nazi-era themed films, including The Man in the Glass Booth (an Academy Award nod for Best Actor), The Odessa File, A Bridge Too Far, and Julia. For the latter, Schell was again nominated for an Oscar for his supporting role. To avoid being typecast, he also played more diverse characters in a number of motion pictures. He played a thief in Topkapi; a Venezuelan leader in Simón Bolívar; a ship captain in Krakatoa, East of Java; and a mad scientist in the science fiction cult classic The Black Hole. Schell received a Golden Globe as Lenin alongside Robert Duvall in the 1992 HBO miniseries Stalin. Perhaps Schell’s most significant film as a director was his 1984 documentary on Marlene Dietrich, Marlene, which was nominated for a Best Documentary Oscar. Dietrich allowed herself to be recorded but refused to be filmed, bringing out the most in Schell’s talent to penetrate images and uncover reality. In the documentary My Sister Maria, he offered his loving relationship with his sibling, who died in 2005. Austrian Cabinet minister Josef Ostermayer described Maximilian Schell as one of the greatest actors in the German-speaking world. Conductor Leonard Bernstein once claimed that Schell was a remarkably good pianist. He was often a guest professor at USC, and was awarded an Honorary Doctorate from Spertus Institute for Jewish Learning and Leadership in Chicago. 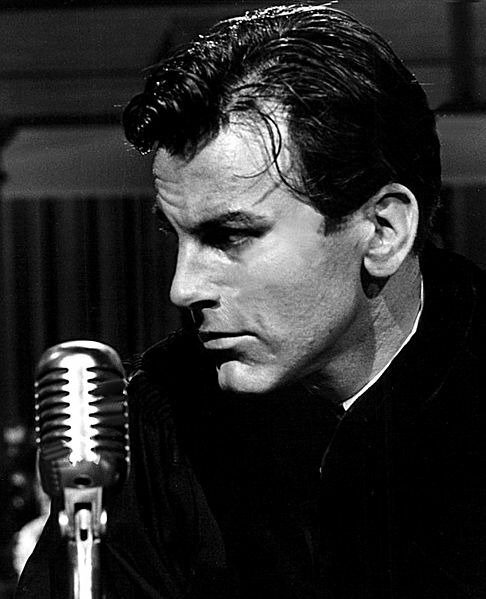 His inspired performance in Judgment at Nuremberg made me fall in love with cinema at a young age, and remains one of my personal favorite motion pictures of all time. The dynamic Maximilian Schell was 83. This entry was posted on Saturday, February 1st, 2014 at 4:22 pm	and is filed under Blog by Manny Pacheco. You can follow any comments to this post through the RSS 2.0 feed. Responses are currently closed, but you can trackback from your own site.